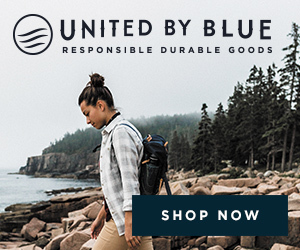 I traveled to Philly last December to visit the United by Blue headquarters and attend their store opening and I’ve been really enamored by the company’s ethos since I discovered it last year. Since the company values and beliefs, aligns with mine, I decided last October to support this company, becoming one of their share holder while helping with their global communication and developement . Basically, the philosophy behind the company is about serious conservation. For every product the company sells, they remove one pound of trash from the earth’s oceans and waterways!! They do this physically–by hosting clean ups and events to help with pollution. It’s pretty amazing and labor intensive, so yes–I’m 100% in support and rocking the brand head to toe today here! I feel rather cozy. But also, don’t miss this place when in Philly and in need of caffeine. The store has the cutest coffee shop too!